NOTICE: Before order, please refer to the Size Chart Picture.Please allow 1-3mm error due to manual measurement, make sure you do not mind before you bid. 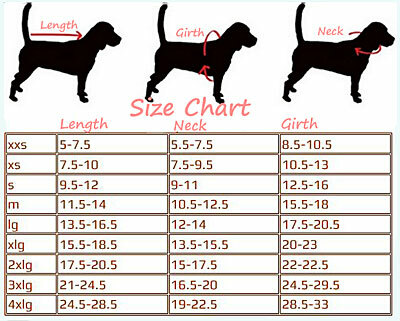 Maybe a little color shade due to light.If your pet dog is growing up, you can order a bigger size. We highly recommend you measure your pet precisely with a flexible tape measure to ensure the best fit.